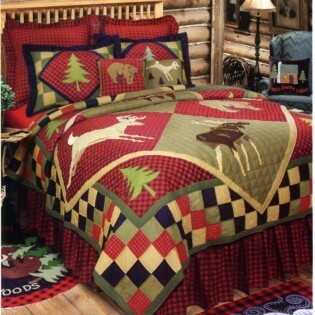 These rustic Lodge Quilts feature a patch work and applique design with bear, moose, deer and pine trees. Colors are greens, navy blue, red and tan. Coordinating bed skirts and ruffled euro shams are red and black buffalo check.